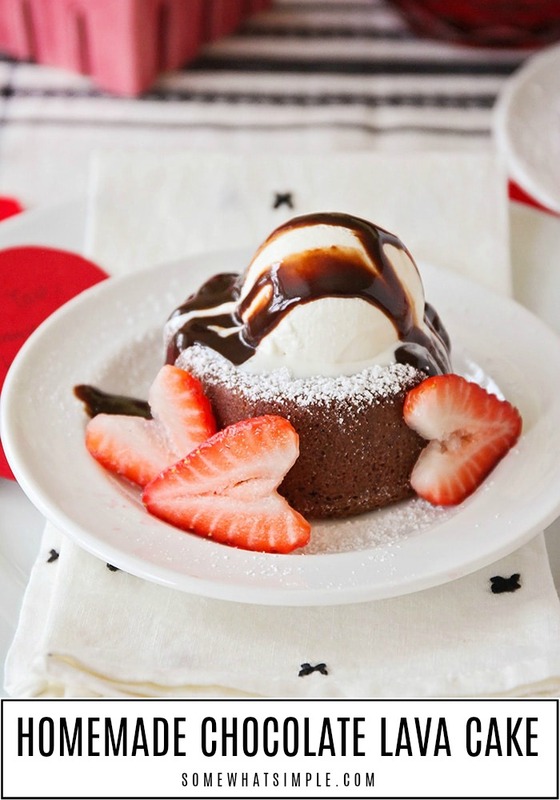 Simple, classy and totally delicious, this Molten Chocolate Lava Cake recipe is perfect for any special occasion, but easy enough for every day. 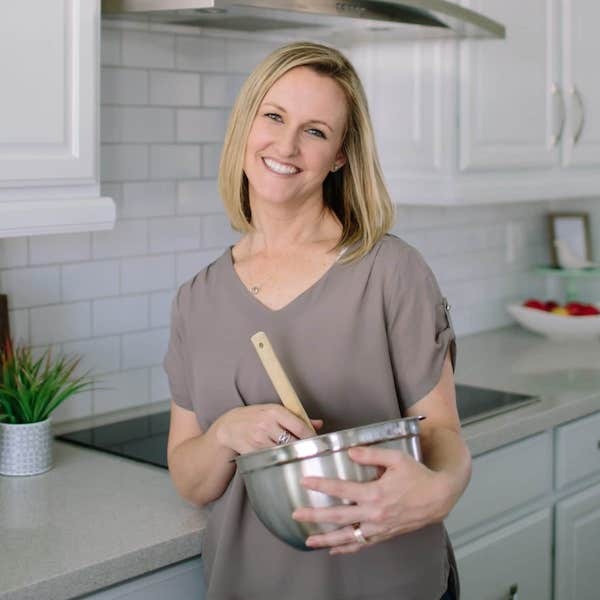 This post is in partnership with O Organics® and Albertsons. All opinions are 100% my own. 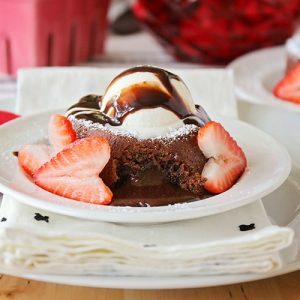 My husband and I are both chocolate lovers, so I thought a molten chocolate lava cake would be the perfect ending to our at-home Valentine’s date night! 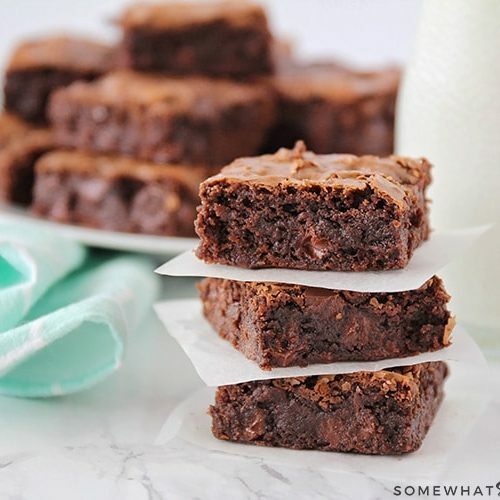 This recipe is super easy to make, but it taste’s amazing and looks impressive! The outside of the cake is so tender and moist, and the inside is a gooey pool of rich chocolate. 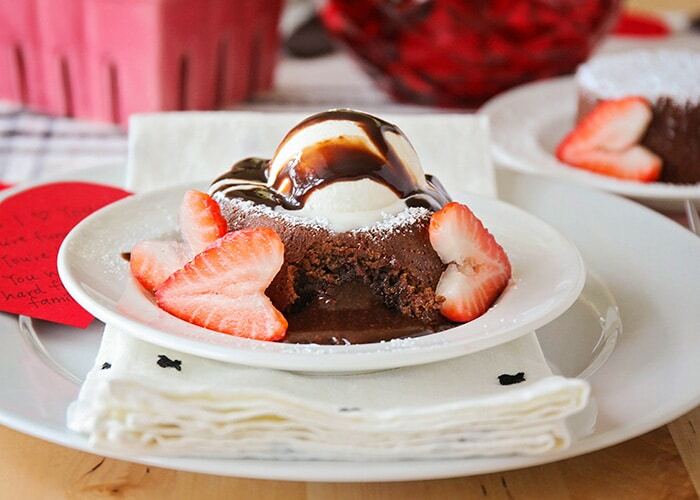 When combined with strawberries, ice cream and chocolate sauce, it is truly a heavenly dessert! 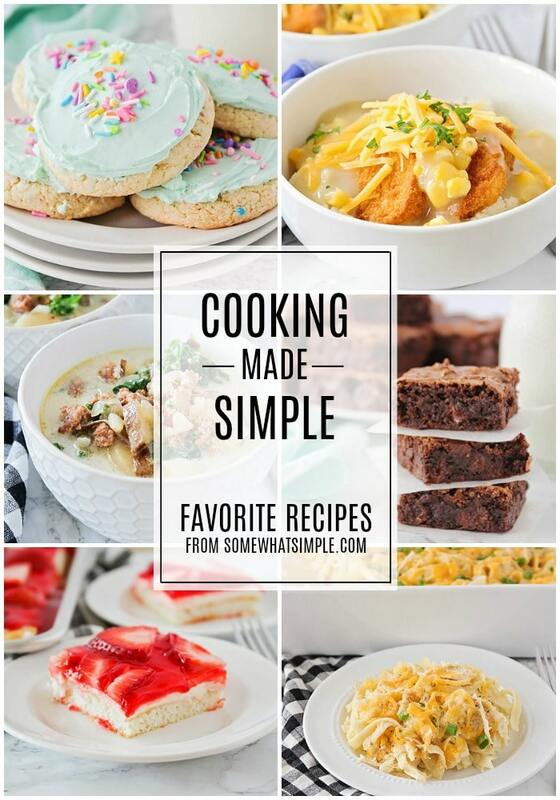 Since it’s a simple recipe with just a handful of ingredients, using high quality ingredients is a must. I found everything I needed at my local Albertsons store. Their O Organics® line has a wide variety of high-quality organic products at affordable prices. 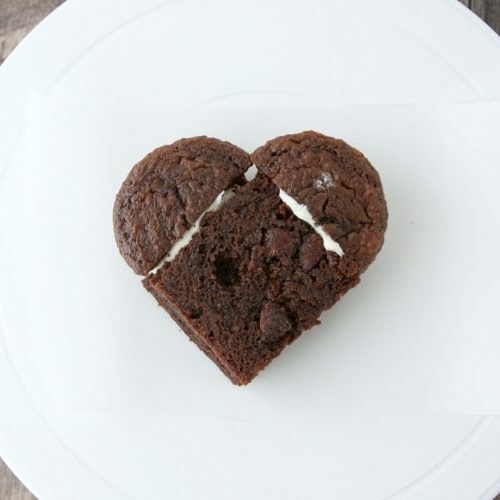 To make the molten chocolate cakes, you’ll make a quick batter out of melted chocolate, butter, powdered sugar, eggs, vanilla, flour, and a touch of cinnamon, then pour it into ramekins for baking. 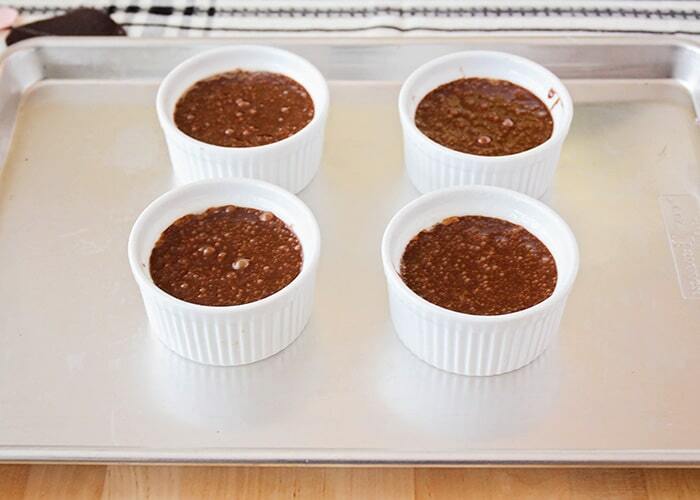 The recipe makes enough to fill four 6-ounce ramekins, and you’ll want to fill them to within about 1/2 inch of the top. They’ll puff up a little as they bake, but they shouldn’t overflow the ramekins. Using a cookie sheet underneath is a good idea, though, just in case! As they bake, the outside of the cakes will be firm, but the inside will stay melty and gooey and delicious. They smell so good while they are baking! 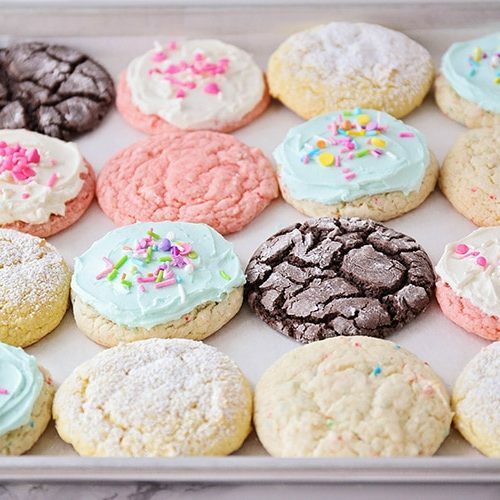 Because the bake time is so short, they’re ready in about thirty minutes, start to finish. Let the cakes cool for 5-10 minutes on the baking sheet, then invert them onto a plate. They’re much more difficult to remove while they’re piping hot, so it’s definitely worth it to wait a few minutes. I found the easiest way to invert them was to run a plastic knife around the inside of each ramekin to release the cake. I then placed the serving plate on top of the ramekin, and flipped them both upside down together. 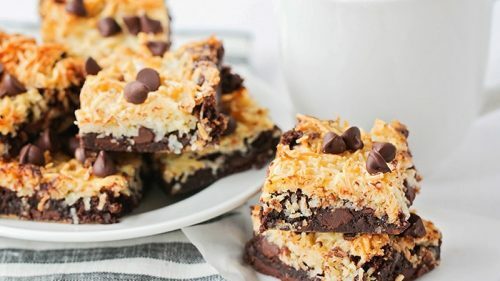 These cakes are delicious just sprinkled with a little powdered sugar, but if you want the full decadent experience (and who doesn’t? 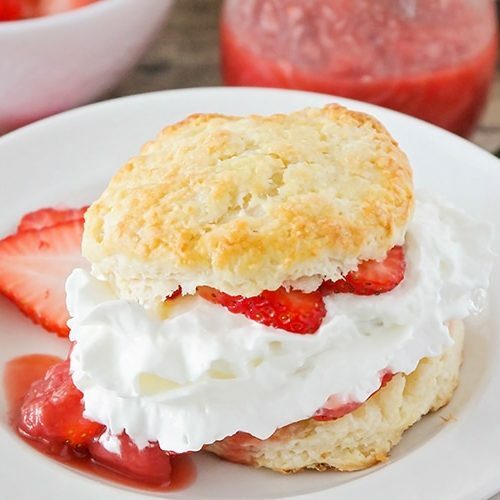 ), you absolutely must top them with vanilla ice cream and chocolate sauce! Preheat the oven to 425. 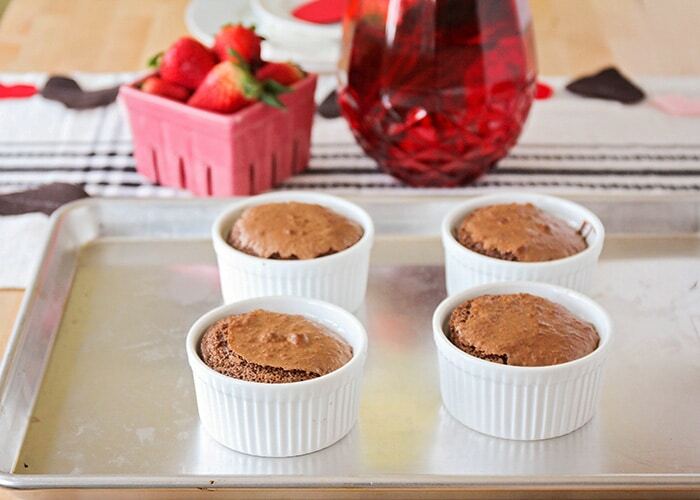 Spray four 6 ounce ramekins with cooking spray and place on a baking sheet. 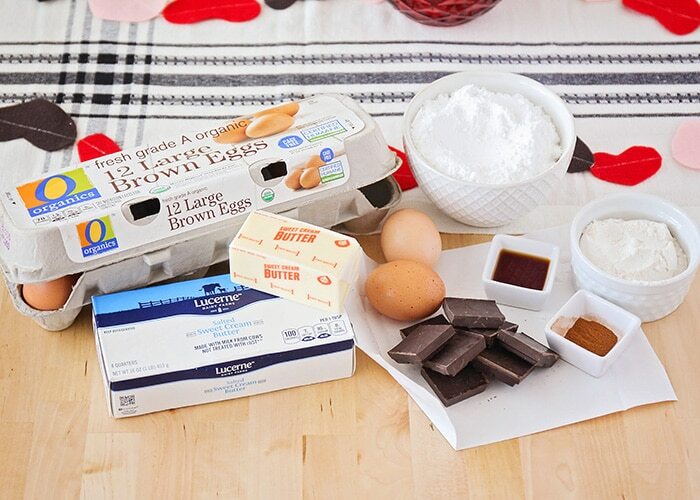 Add the butter and chocolate to a microwave safe bowl. Microwave on high for one minute, or until the butter is melted. 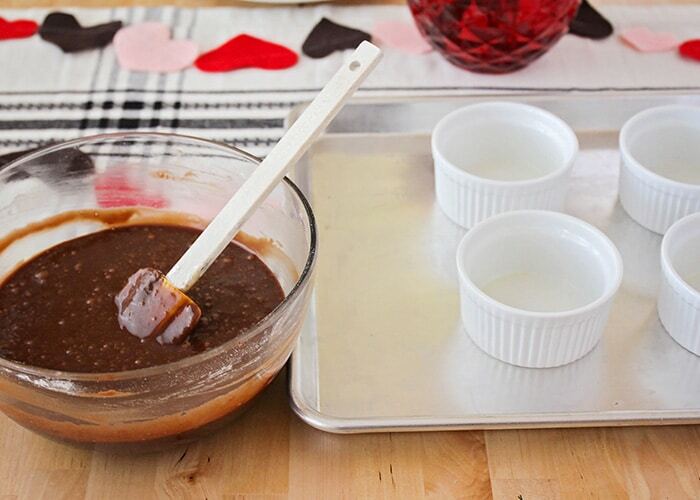 Remove the bowl from the microwave and stir until the chocolate is completely melted. 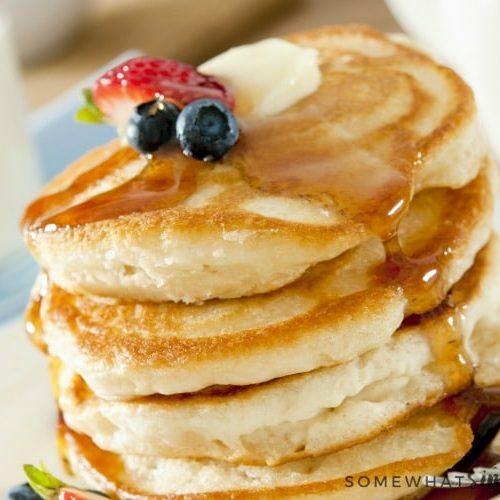 Add the powdered sugar and stir until combined, then add the eggs, egg yolks, and vanilla, and stir until smooth. Add the flour and stir until combined. Divide the batter evenly between the ramekins. Bake 13 minutes, then remove from the oven and let stand 5-10 minutes. Run a plastic knife around the edge of each cake to release it from the ramekin, then invert onto a plate. 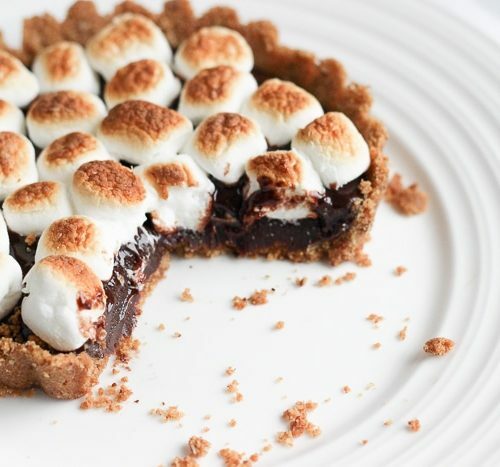 Serve warm topped with ice cream and chocolate sauce, if desired. DEFINITELY pinning this so I can make it sometime! It looks sooo good! Thanks Brooklyn! I hope you love them!